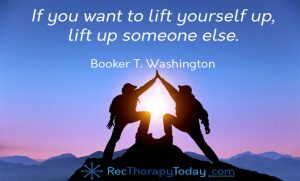 We Just Became The Real Hub for all things Rec Therapy — Thanks to you! This site is made possible from the readers, fans, supporters, and promoters like you! You’ll have access to rec therapy ceus and news, career opportunities, resources, contests, networking and more!